Privatoria VPN Tor is a tool that encrypts user's data to its remote servers and enables to use public Internet through a secure VPN. Work for Privatoria VPN Tor? Learning about Privatoria VPN Tor? 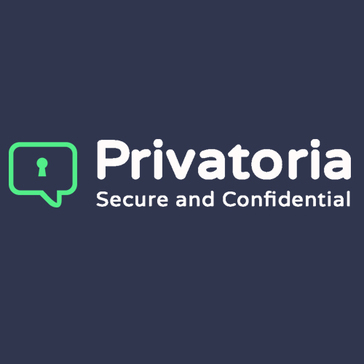 "Used privatoria in many countries, always work, and using the Tor VPN"
Privatoria.net is a VPN provider that offers true anonymity through VPN connections and integration with the TOR network. VPN technology that encrypts data twice. Hotspot Shield lets you browse the web securely, anonymously & change your browsing location to unblock content. IPVanish is a top tier VPN service. High speed, ultra secure, and easy to use VPN. Instant setup. TunnelBear is an app protects online privacy, help to access to favourite websites and apps, and secures connection on public WiFi hotspots. Private Internet Access (PIA) Anonymous protects users from data trackers, identity thieves, scammers, and stalkers by creating a personal virtual private network (VPN). The user's connections are anonymous and nearly impossible to track because private internet access (PIA) creates an encrypted data channel from the user's computer to the private internet access (PIA) network. It hides internet protocol (IP) addresses from hackers, advertisers, and data miners and protects privacy in public Wi-Fi hotspots, coffee shops, airports, and more. It also circumvents internet restrictions and censorship. * We monitor all Privatoria VPN Tor reviews to prevent fraudulent reviews and keep review quality high. We do not post reviews by company employees or direct competitors. Validated reviews require the user to submit a screenshot of the product containing their user ID, in order to verify a user is an actual user of the product. Hi there! Are you looking to implement a solution like Privatoria VPN Tor?